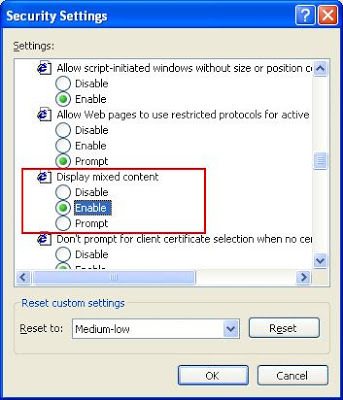 If you have happen to be using older Internet Explorer or your internet explorer pops up with message “Do you want to view only the webpages content that was delivered securely” and then you have to click YES or NO expecting it will not show up anymore? Well it did, it kept on showing up over and over again when you click on link going from one page or website to another. Go to Tools –> Internet Options –> Security Tab. Here select the proper zone under which your custom pages or the “HTTP” pages came. Now select “Custom Level” button.